Oh my, will you look at that! 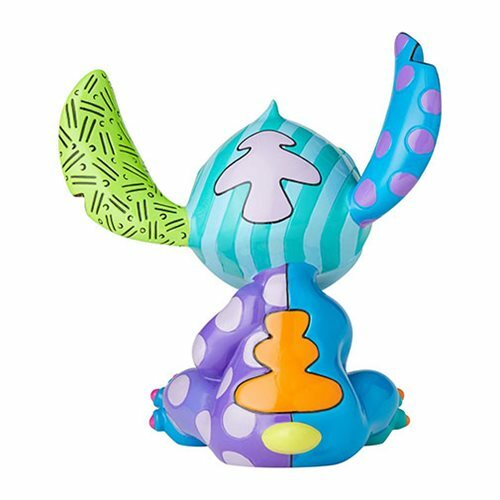 Sensational Stitch statue from artist Romero Britto. Inspired by the animated sci-fi comedy film Lilo & Stitch. Measures about 14-inches tall x 12 1/10-inches wide x 10-inches long! 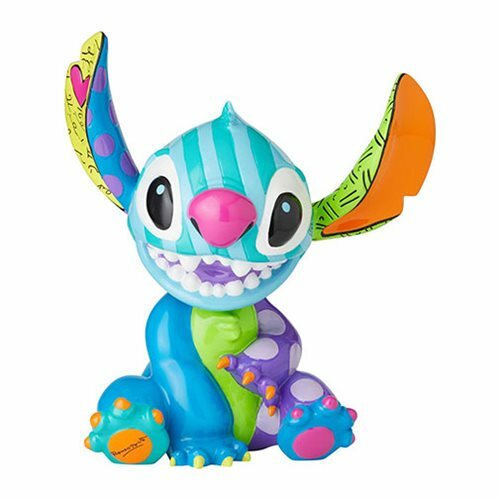 The genetically engineered extraterrestrial star of the animated sci-fi comedy film Lilo & Stitch makes a rare personal appearance in this sensational Disney Lilo & Stitch Stitch Big Fig Statue by Romero Britto. Finely crafted of polyresin and calcium carbonate, he measures a remarkable 14-inches tall x 12 1/10-inches wide x 10-inches long!